Under our corporate mission to be a “Kando* Creating Company,” Yamaha Motor strives to offer our customers around the world products and services that bring joy and unexpected exhilaration that enriches their lives with new fulfillment, in harmony with society and the environment. We aspire to always be a company offering new value that inspires customers to look to us for new Kando. The energy we direct toward answering those expectations and the application and combination of our four core technical competencies (powertrains, chassis and hulls, electronic control and manufacturing) is what enables us to create unique products, develop a diverse range of businesses and create new demand. This has fueled our company’s growth to the present day. We find ourselves now on the cusp of a pivotal change in our business with the rapid developments seen with electric vehicles and digital technologies, and the subsequent restructuring of traditional systems and frameworks. 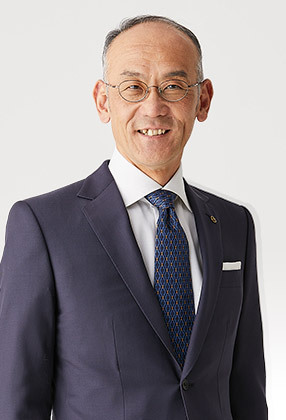 As this change progresses, the cutting-edge technologies we have acquired, our wide-ranging business base as well as our ability to give form to new ideas will likely be important drivers for the next steps of Yamaha Motor’s growth. At Yamaha Motor, we define the “unique style of Yamaha” with five words expressing our shared values: Innovation, Excitement, Confidence, Emotion and Ties. Injecting the spirit of these words into all processes and levels of our corporate and business activities will help make our company that much more true to our character. I firmly believe this is the way and means to answer the expectations of our customers as well as the energy to fuel our drive towards even greater market competitiveness. With the unique style of Yamaha alongside our distinct and diverse portfolio of businesses, products and technologies garnered from our earliest years as our strength, I hope everyone will look forward to the next Kando to come from Yamaha Motor and our next stage of progress.